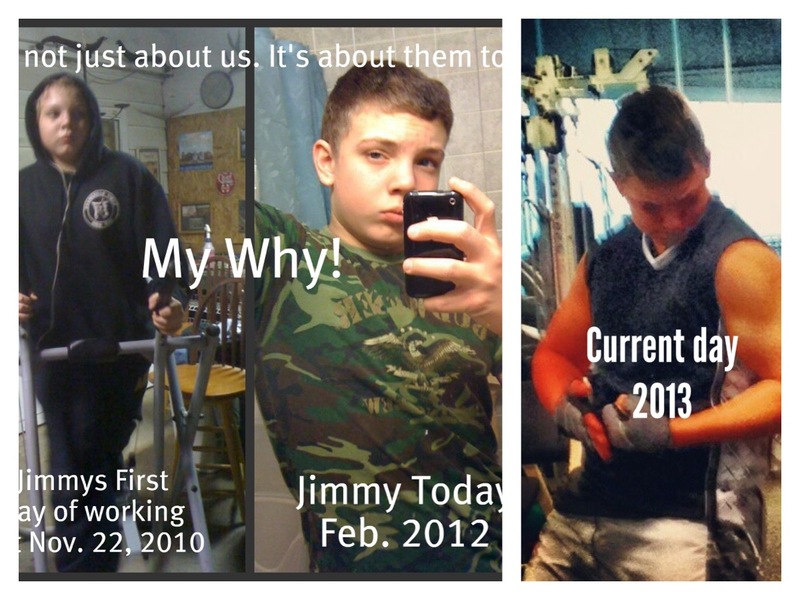 On November 22, 2010 I started on a journey that ultimately changed my life! Not just my physical appearance but my WHOLE life. I did this not just for myself and because I needed to do it but because my children needed a healthier childhood. Until now, all of my success stories you’ve heard have mostly been mine but I’d like to tell you one from my son, Jimmy. Some of you know that the summer of 2010 was not good for us. My husband was in the hospital for a while with heart failure and we lost a few important members of my family. One of them being my Ex Father in law, Charlie Brown, who was in reality another father to my boys. My children were there every day after school and they spent every Friday night with him. Every decision in this mans life revolved around my children. When he passed away so suddenly from a motorcycle accident, my children suffered horribly. They had anger, they had confusion and they had heartache. Our lives were spiraling out of control. My oldest has Alopecia which is where he developed bald spots on his head in various places when stressed and worried. Between that, the heartache he felt, and the stress of all of this and his first year in middle school, he was miserable and hard to handle. He had such anger issues because he didn’t know how to cope with losing his papaw. He was 12 years old and had bald spots in odd places on his head. Kids made fun of him and he had more than his fair share of fights over it. Our family weekends together that use to be so much fun and relaxing turned hateful and bitter and full of fighting and sad endings. When asked now he said he ate to cover the hurt. Sure he was overweight. He was by no means obese but he definitely carried more weight than was healthy and it only added to his already low self esteem. After one seriously disastrous weekend and many tears I begged my brother to help me. 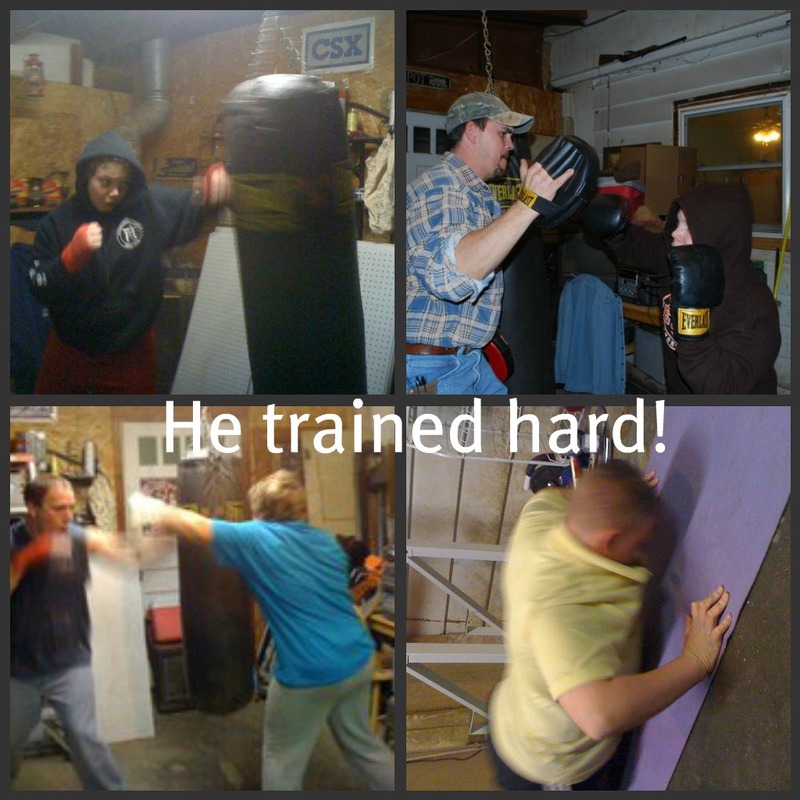 He at one time had boxed and he said it helped him with his anger. I only hoped that maybe this was the key for Jimmy too. He agreed to come over a couple nights a week and work Jimmy on the Heavy bag that we had leaning up against the wall in the corner. Now, I looked at all my kids at this point. My husband and myself. Every one of use needed a little activity in our life so in deciding Jimmy needed this I decided we would make it a family thing. Looking back today, I thank god every day we did this. I believe that this saved so much heartache in our family. Not only did my children learn to be healthy but because we did it together, it brought us so much closer! Here is how we did it! On November 22, 2010 we started our Journey. Myself, my husband, my son Jimmy, My son Josh, my step daughter Lindsay and her boyfriend Troy started getting together 3 nights a week and worked for 3 hours every night. We did cardio, calisthenics, and trained Boxing on the Heavy bad and practice mitts. We did this for 4 months before we were introduced to Beachbody. From the first day, I could tell the difference in my oldest baby. He appeared more confident. He didn’t argue with me as much. He had more energy and made better food choices. He hasn’t had a bald spot on his head for a YEAR! His grades which were suffering to the point of failure are now fantastic. He told me just today he has all A’s and one C as of today! He has always been a little shy in his workouts and preferred to workout at home but recently his dad and him have joined at gym and he has started coming to fit clubs. A year and three months later he has also dedicated his life to being healthy and I watch him make healthy decisions daily. I cannot express how proud I am of my son, Jimmy Brown. I feel that his dedication as a young teenager will take him through a very healthy life! He has decided that he would like to pursue boxing and mixed marshal arts in the future so I see him sticking with his fitness dedication. He chose an orange over chips the other day so he knows good eating habits go along with it! So why I am very proud of my own accomplishments, I am even more proud of his and feel its time to show his off! 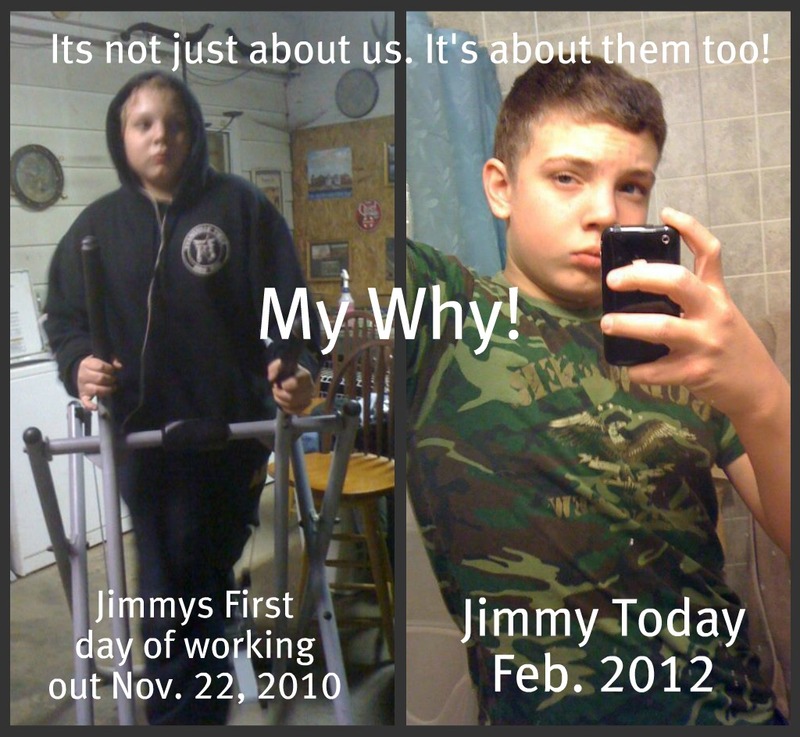 I’d like to update you on my blog last year about my oldest son Jimmy. In the last year he has really stepped up his game. He faithfully goes to the gym on his own. If he doesn’t have a ride, he will walk. He is that dedicated to his workout. If he can’t make it to the gym, he works out at home. That boy has really taken his workout to the next level concentrating on his lifting. We couldn’t be more proud. ← Why staying fit and healthy is harder than getting there! This showed up in my “on this day” on facebook today and I wanted to share with those new to me. I haven’t always loved fitness. I was active as a kid but getting pregnant and having issues at the age of 18 stopped all of that. One day I took a look around at my life, my kids. My body, and knew I needed a change. my son at the time was my driving force. He’s his own man now and he is still one of my driving forces but now I do it for me. For my health. For my passion. Here is a glimpse into why I got into exercise. Side note: he’s 18 now, still active and going to the gym. Still boxing when he has time.